Let’s first understand some premises of AdWords remarketing campaigns. For example, a site visitor is more likely to buy when he is further along the sales funnel. A recent site visitor is more likely to purchase than someone who visited your site ten or twenty days ago. The closer a visitor is to making a purchase, the more valuable he is to a remarketing campaign and should be allotted more ad spend. This group includes shopping cart abandoners and product viewers who together deliver nearly ninety percent of remarketing conversions. By adding a remarketing tag to every page of your website to track site visitors, you create a broad audience for your AdWords remarketing campaigns. 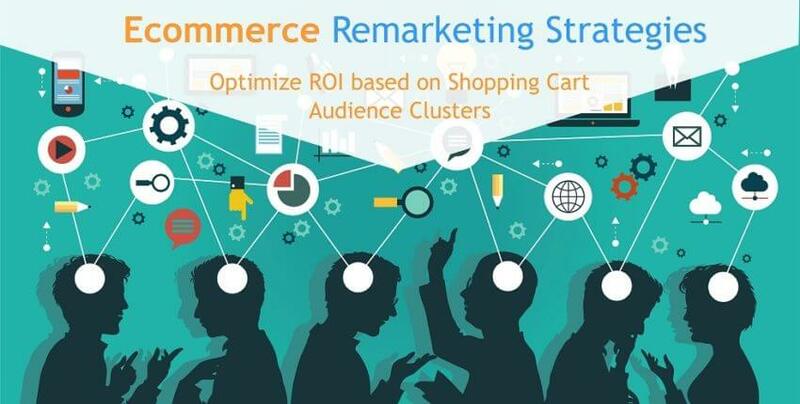 Segment audiences by shopping cart abandoners, product viewers, general site visitors etc. You can further subdivide these segments based on time scales. For example, create an audience of site visitors who have abandoned shopping carts in the past one day, seven days and so on. You can get very granular with segmentation but this should be justified with high site traffic to have significant meaning. The next step is making sure audiences don’t overlap. Different audience groups have different values – for example shopping cart abandoners have more value than product viewers or general site visitors and should be clubbed with other groups in order to create optimized bid strategies. Make sure that there are no purchasers in shopping cart abandoners and no cart abandoners or purchasers in product viewers. Professional digital marketing agencies offering Google AdWords remarketing services suggest creating separate campaigns for separate markets based on unique factors such as currency and language to increase relevance and effectiveness. However, this is subject to an individual client’s objectives, audience and other factors. It’s also important to give each campaign a clear descriptive name for easy identification. For example, if you’re running a campaign in Canada, use Canada: Display Remarketing as the name. For e-commerce businesses interested in remarketing, shopping cart abandoners and product viewers should form the core ad groups. An ad group with shopping cart abandoners is best served by dynamic display ads that show a site visitor the exact product they added to a shopping cart. An ad group with product viewers will target only those who viewed a product information page but did not make an attempt to add it to the shopping cart. You may also consider advertising to other groups such as customers who just purchased, purchased in the distant past or never purchased. You can target just purchased customers by advertising new products or push for conversions like signing up for newsletters or a loyalty program. You can target past customers with new product ads, upselling ads or cross selling ads – the idea is to stay on top of their minds. Some digital marketing agencies offering Google AdWords remarketing services prefer capping remarketing ad frequency to twenty times per user per month. However, considering that internet users move quickly from one site to another, it may be better to increase ad frequency to twenty times a day per user as this will improve chances of ad getting viewed and clicked. It’s best to target shopping cart abandoners while they still warm and running a high-frequency, low-duration campaign achieves that. For more remarketing campaign setting tips, consult our qualified AdWords remarketing team.